Dedicated to helping students succeed in middle school, high school, college and beyond. Randi joined Peninsula Bridge in 2013. Before joining Peninsula Bridge, Randi was the co-Development Director at the Boys & Girls Clubs of the Peninsula. She has also worked as a legislative assistant, in industry and as a non-profit consultant, and has co-founded a non-profit agency focused on girls aged 7-12. Randi has a BA from UCLA and a MA in public administration from Harvard's Kennedy School of Government. Jocelyn joined Peninsula Bridge in 2013. She has held a number of corporate positions and been a highly effective volunteer. In Portola Valley, she has been a key leader in raising millions of dollars for the public schools as well as for the new community center. Jocelyn served as a trustee on the Portola Valley School Board from 2010-2015. Before joining Peninsula Bridge, she was the co-Development Director at the Boys & Girls Clubs of the Peninsula. She holds a BA from Harvard University and an MBA from Stanford Graduate School of Business. Amanda has been a part of Peninsula Bridge since August 2015. She has dedicated her career to the education and empowerment of students and families since completing her B.S. in Bilingual, Multilingual, and Multicultural Education at Illinois State University in 2004. After four years in the classroom, she began pursuing a degree in administration and received her Master of Science in Educational Leadership and Administration in 2009. She has taught and held administrative roles in both the public and independent school sectors and welcomes the cohesion these experiences bring to her role as Middle School Director for Peninsula Bridge. She and her husband Raman, a scientist and business development director, live in San Jose. Marion began her educational career as an ESL teacher with Teach For America in Massachusetts. Her experience in the classroom motivated her to pursue a Master's Degree at Boston University to further expand her knowledge of how to best reach students in marginalized communities. She spent the last two years as Campus Director with Citizens Schools in Oakland, a nonprofit organization that works to develop the academic and social emotional potential of low-income students. Paula joined Peninsula Bridge in 2012 and supports both programs and development. She emigrated from Argentina and self-funded her education earning a Masters in Sociology at San Jose State University. She wrote her thesis on financial literacy, and is the first in her family to earn a master's. Prior to joining Peninsula Bridge, Paula lectured at SJSU, taught Spanish, and interned with Friends Outside. Paula is currently completing a Certificate Program in College Admissions and Career Planning through U.C Berkeley Extension. Maureen joined Peninsula Bridge in 2012. She brings more than 20 years of non-profit and for-profit experience in the financial and education sectors on the Peninsula and in the South Bay. She has a B.S. in Public Administration/Public Affairs from the University of Southern California. Maureen and her husband Bill, an attorney in Palo Alto, have three children and live in San Carlos. Rene Jimenez joined Peninsula Bridge in August, 2015. As a Bay Area native from Menlo Park, CA, he feels very connected to Peninsula Bridge's mission and the student's families. He participated in the Bridge program as a 7th and 8th grader. He has a B.S. in Business Administration with an emphasis in Management and International Business. During his free time, Rene enjoys playing soccer, snowboarding in the mountains of Lake Tahoe and kayaking. Maria received a Bachelor’s Degree in Behavioral Science and Sociology from San Jose State University. Upon graduation, she served with City Year for two years as a tutor, mentor, and team leader in East San Jose. She spent the last five years as Middle School Program Director with Building Futures Now, a nonprofit organization that worked to develop the academic and interpersonal potential of underserved students in East Palo Alto before merging with Peninsula Bridge in 2017. Maria is currently completing a Masters degree in Counseling Psychology at Santa Clara University. Mayra joined Peninsula Bridge in 2017. She has worked with children and families in a variety of capacities including: research, case management, education and in mental health settings. She received her B.A. in Psychology at Wesleyan University in 2010 and her M.A. in Clinical Mental Health Counseling at Fairleigh Dickinson University in 2015. Mayra is an East Palo Alto native and familiar with the journey many Peninsula Bridge students are on to achieve successful productive lives. She looks forward to engaging with her students and supporting their passion for higher education. Karen joined Peninsula Bridge in 2016. Prior to joining Peninsula Bridge, Karen was Operations Manager for Summit Preparatory Charter High School in Redwood City. Karen has a passion for working with youth and a dedication to effective and equitable education. She lives in East Palo Alto and loves spending time with her family and dog Weston. Karen is fluent in Spanish and is a Peninsula Bridge and Menlo School alumna. She has a BA in Education from San Jose State University. Rebecca joined the Peninsula Bridge team in 2017. She received her BA from Brandeis University in Waltham, MA. In the years since graduation she's worked as a director of after-school education programs at Congregation Beth Am and as an elementary school teacher. She has also taught English as a Second Language at the Day Worker Center of Mountain View. In her free time Rebecca enjoys reading, playing music, and spending time with family and friends. Natalie attended Connecticut College and earned a degree in Human Development with an emphasis in elementary education. She has a passion for social justice and working with children. She spent the past 6 years teaching Spanish at a middle school in Minneapolis before moving to California. A native New Yorker, she thrives on diversity and is fortunate to have had the mentorship in school and experiences that have been the catalyst to her achievements. She is excited to empower future diverse leaders with similar backgrounds and make an impact on Bay Area youth every day! In her free time, Natalie enjoys salsa dancing, traveling, spending time with family and trying new food. 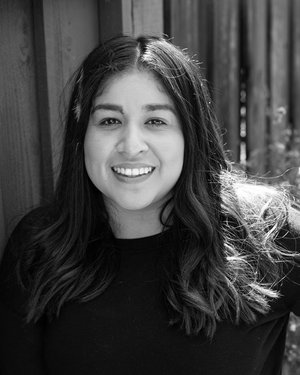 Ruth graduated from Loyola Marymount University with a BA degree in Sociology & Spanish, and is a Bay Area native. She has previously worked with Peninsula Bridge coordinating the summer program at Sacred Heart Schools. Being a first-generation college graduate has given her a strong understanding of the importance of education, and the difference a mentor can make in a student's life. She hopes to be supportive and loving in her work with youth, and their families. Alison’s commitment to college access for students from marginalized backgrounds spans several decades, beginning with her experience as a volunteer mentor with I Have a Dream East Palo Alto while she was in graduate school in the early 90’s. After a successful career in tech marketing and non-profit fundraising, she is thrilled to be working directly with first-generation students to help make their college dreams a reality. In 2018, Alison received a Certificate in College Counseling and Career Advising from UC Berkeley Extension. She also holds a BS in Industrial Engineering from Cal Poly, San Luis Obispo, and an MBA and Masters in Education from Stanford University. Susi joined Peninsula Bridge in 2018, and brings with her more than a decade of school oriented business management experience. Prior to joining Peninsula Bridge, Susi worked as Business Manager at the German American International School in Menlo Park, as well as Manager of the Travel Cuts office on the Stanford University campus. Susi is a native of Germany, and she lives with her husband and two kids in Redwood City. For Osvaldo, Peninsula Bridge marks the beginning of a long and fruitful career in education outreach. The son of immigrants and the product of a Title I education, he understands intimately the challenge of striving toward college when the road ahead is foggy and unfamiliar. Thankfully, he also understands the potential for mentorship and guidance to alter the trajectory of a young adult’s education. In the summer of 2016, Osvaldo received his B.S. in Biotechnology & Life Science from Stanford University. Joanne joined Peninsula Bridge after relocating to the Bay Area from Chicago. She comes with 18 years of experience in youth development and management through CROYA, a non-profit based in Lake Forest, Illinois. Prior to CROYA she attended medical school in the Philippines before realizing her passion for advocating for and empowering youth. Joanne and her husband Robert, an architect live in San Francisco. Jenny's passion for working with youth first ignited while attending UC Santa Cruz, where she became the first member of her family to graduate college. She graduated with a BA in Intensive Psychology with Honors. Before Peninsula Bride, Jenny was a College Counseling Manager at Breakthrough Silicon Valley, where she designed a comprehensive college access program that successfully supported 100+ students through the college admissions process. During her time at Summer Search as a Program Associate, she developed social-emotional skills in students in order to be college-education leaders. Teresa joined Peninsula Bridge in 2015 and brings over six years of experience in development, marketing, and program management in the non-profit sector. She is passionate about education and believes that all students, when afforded the opportunities, can succeed. She grew up in the Bay Area and is a graduate of UC Berkeley, where she is an avid football fan, and enjoys traveling and spending time with family and friends in her free time.